Northside Hospital-Forsyth continues to expand and add services to meet the ever-growing healthcare needs of Forsyth County and its surrounding communities. The hospital has a medical staff of more than 2,300 physicians and 2,200 employees. 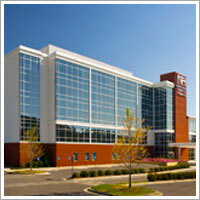 The hospital offers a wide range of medical services to the community. Northside Hospital has distinguished itself among the very best maternity and newborn hospitals in the country. The Women?s Center at Northside Hospital-Forsyth rivals the nationally acclaimed Women?s Center at Northside-Atlanta, and offers comprehensive services for labor and delivery, neonatal care, high-risk perinatal diagnostics, parenting and newborn classes and lactation consultation to Forsyth county.